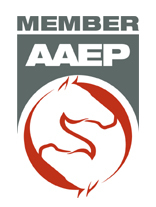 Connecticut Equine Practice is a full service equine veterinary ambulatory practice based in Newtown, CT and providing service to horses in Newtown and surrounding communities. Established in 1983 the practice provides comprehensive veterinary services to horses at your home, farm, or stable. A private stable is available for examination, treatment, and hospitalization of complex cases and to see horses from beyond our normal practice area. A riding ring is available for lameness evaluations and pre-purchase examinations. The practice area includes Fairfield County and parts of New Haven and Litchfield Counties in Connecticut and parts of Westchester and Putnam Counties in New York. Mobile veterinary units are used to carry all the medical equipment and supplies needed to treat your horse on the farm. The units are heated and refrigerated for temperature control of medications and have room to carry our digital x-ray machine, ultrasound, and endoscope as well as all the other supplies and equipment needed to work in the field. Connecticut Equine Practice believes that open, honest, and detailed communication is essential in order to deliver high quality veterinary care. We want to get to know you and your horse so that we can provide the best possible veterinary care and help your horse to perform at his or her best regardless of what equine activity you pursue.